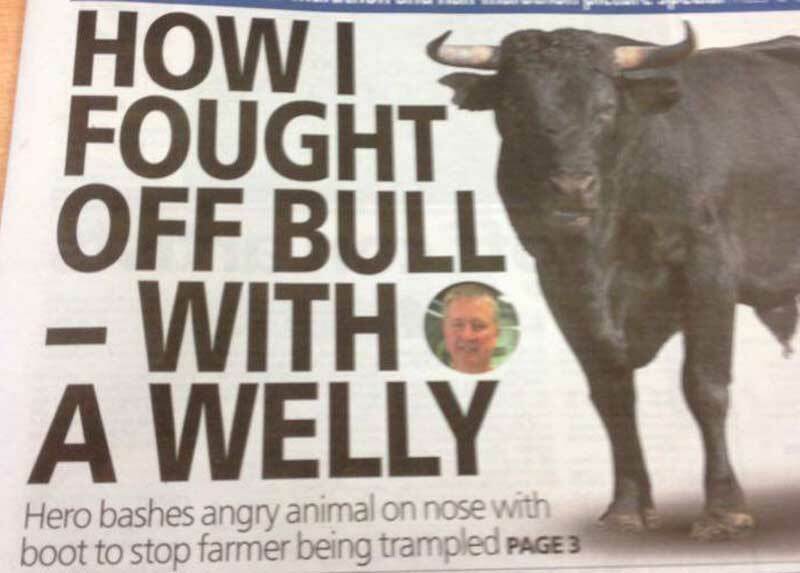 A heroic paramedic armed with only a wellington boot managed to pacify a raging bull attempting to trample an injured farmer to death. Emergency medical technician Keith Harrison's brave actions have been praised by his colleagues who believe he saved them and the patient, who had a fractured neck and broken leg, from further injuries and potentially death at McCartneys livestock auctions in Worcester. Fellow paramedic Simon Edwards, who also attended the incident, said it was one of the most frightening ordeals of his 25-year career. 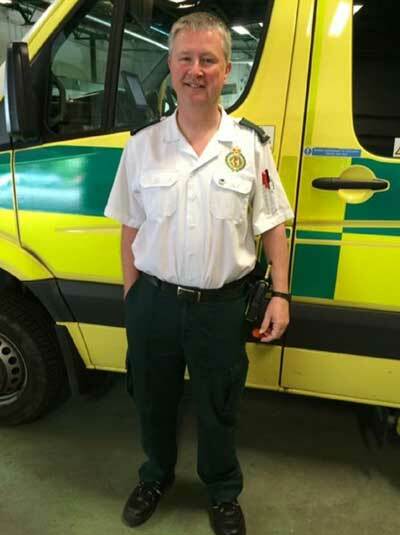 Despite all the praise, Mr Harrison, from Northwick, Worcester, who has been a paramedic for 34 years, is modest about his actions and said the main priority was getting the patient out safely. "Myself and my colleague Martin Sharpe got a call saying someone had fallen at the cattle market but when we got there we found the gentleman hadn't had a fall but a bull had gorged him and crushed him against a pen. It had injured him quite badly but he managed to roll away from the bull who was still in the pen. We carried on treating him, putting him on a spinal board and setting up drips but all the time we were aware this bull was becoming angrier and angrier and attempting to climb over the small, flimsy metal gate. "Simon said we needed to do something and I think I had been watching the Discover Channel show which said in a shark attack you should hit the shark in the nose to get it off and I wondered if it would work on a bull. The only thing around was the welly we had taken off the farmer so I grabbed it and hit the bull on the nose. It seemed to have the desired effect and he backed down enough to get the man out to safety." While Mr Harrison said he was no hero and has been subjected to a bit of friendly "mickey-taking". But his colleague Mr Edwards believes his actions saved the farmer and them from death or injury. He said: "The bull was really kicking off, he wasn't happy and began charging and jumped on top of a flimsy gate. His head and chest were over and he was trying to get the farmer who was about a metre and a half away from him. It was a sheep pen and a bull's weight is all at the front of his body so the metal began to buckle. "We knew if he got out, which looked likely, he would trample the farmer to death. I was shaking the gate trying to scare him back, the farmer's wife was shouting at the bull - nothing was working - then Keith took hold of the welly. 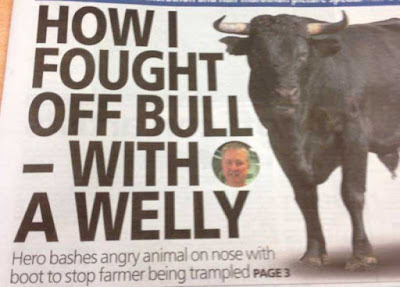 He began waving the welly in front of the bull and whacked him on the nose, I honestly thought it would enrage the bull more. 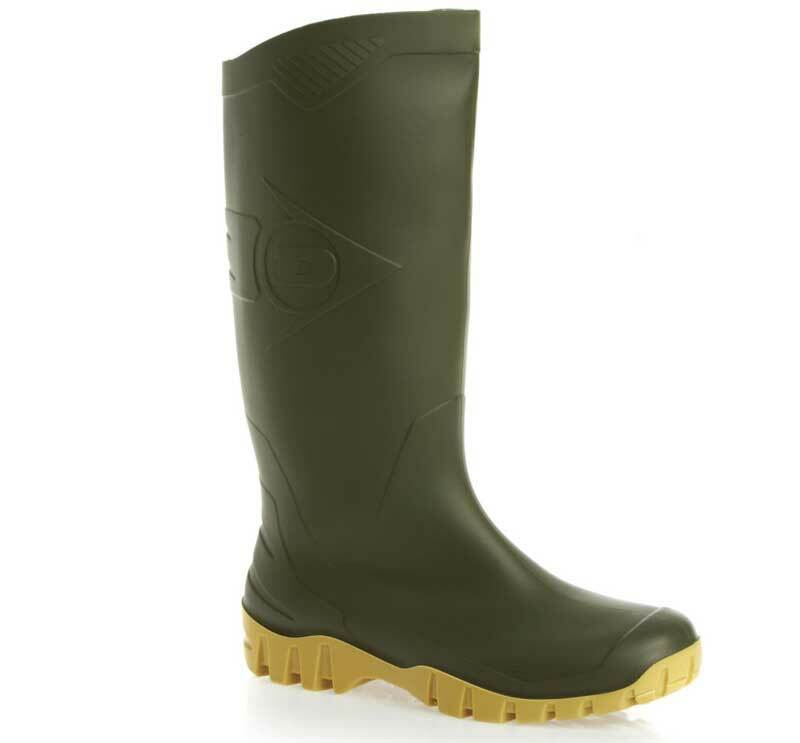 After a few whacks with the welly, the bull jumped off the wall and just retreated backwards. I've been a paramedic for 25 years and it was probably one of the scariest scenarios I have ever been in. The bull was so big and strong it would have killed the farmer and probably us if it wasn't for Keith's actions." The farmer is believed to have recovered from the injuries. Mr Harrison said it could have been disastrous if the bull had managed to clamber over the flimsy gate. "I didn't realise how large a bull was - it could have done some real damage. It wasn't funny at the time, particularly for the patient, and ultimately if he had got out we would have probably had to try and drag him away as far as we could." Let's hope PETA and the RSPCA don't hear about this!